Published February 25, 2018 at 1:42 a.m. Updated February 25, 2018 at 1:42 a.m. Here's a roundup of school incidents around area and state in the past several days. YOUNGSTOWN — A social media threat posted late Friday indicating that Youngstown Cardinal Mooney High School would be “shot up” Monday has school officials and Youngstown police on high alert. AUSTINTOWN — Austintown Intermediate School was placed on “soft lockdown” after administration received word of a threat, according to district spokeswoman Brittany Bueno. LIBERTY — Inducing panic charges are pending against a 17-year-old Liberty High School student may be charged with inducing panic, said Police Chief Richard Tisone. McDONALD — McDonald School District superintendent said there was an incident Friday morning in which a student reported a threat made by another student. School officials contacted the police department, and by the end of the afternoon, the student was taken into custody. Police searched the student and his locker but didn’t find any weapons. SEBRING — A 15-year-old at Sebring McKinley High School was arrested Wednesday, and arraigned in Mahoning County Juvenile Court Friday afternoon on a misdemeanor charge of making false alarms after an alleged threat toward the school. YOUNGSTOWN - A social media threat posted late Friday indicating that Youngstown Cardinal Mooney High School would be “shot up” Monday has school officials and Youngstown police on high alert. “We’re doing everything humanly possibly to keep safe the children entrusted to us,” said Monsignor John Zuraw, spokesman for the Diocese of Youngstown. Increased police presence was at the school Saturday night because of a school dance, and police will be in force at Mooney on Monday because the threatening post specifically states the school will be attacked that day, Msgr. Zuraw said. OHIO — Communities across Ohio reported arrests and lockdowns. Licking Heights, Lancaster, Logan-Hocking, Whitmer, Alliance and more. BOARDMAN — Police arrested a 14-year-old student and charged him with inducing panic, according to a Boardman Schools news release. 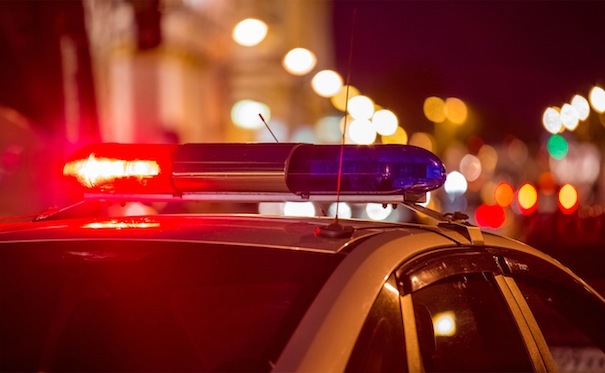 NILES — Police charged a Lawnview Avenue boy, 15, with felony inducing panic Thursday night and took him to the Trumbull County Juvenile Justice Center in relation to a threat Thursday involving Niles McKinley High School. STRUTHERS – City police and middle-school administrators are investigating a threat written on the wall of one of the boys' bathrooms at the school. ALLIANCE — Police have arrested five Alliance High School students in a school shooting plot that the students claim was a joke. TOLEDO — A 20-year-old man accused of threatening a shooting at an Ohio high school has been charged with inducing panic and held on $50,000 bond. February 23, 2018 12:37 p.m.
January 15, 2013 12:05 a.m.